Ypsilanti artist Yen Azzaro has participated in a number of different local art projects and has done graphic artistry for the Ford Motor Company, The Kresge Foundation, and Eastern Michigan University among others. 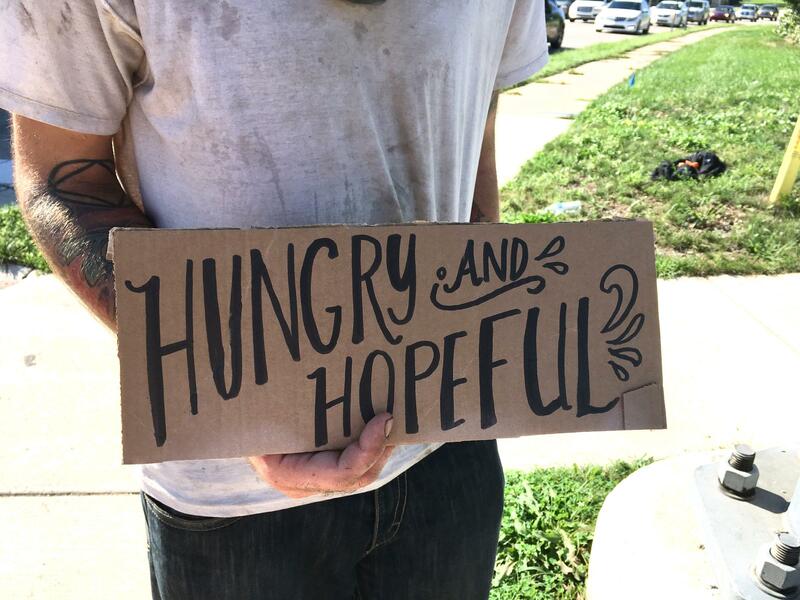 She used her skills to create special signs for several area homeless people to provide them with a human connection and hope for a better future. 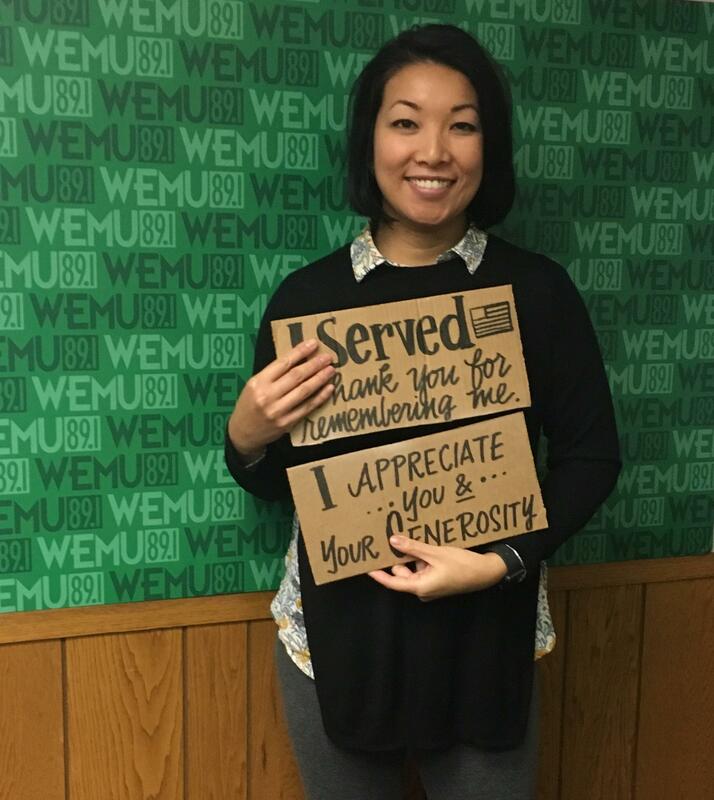 She shares more about the project she refers to as "homeless and hopeful" with 89.1 WEMU's Lisa Barry. 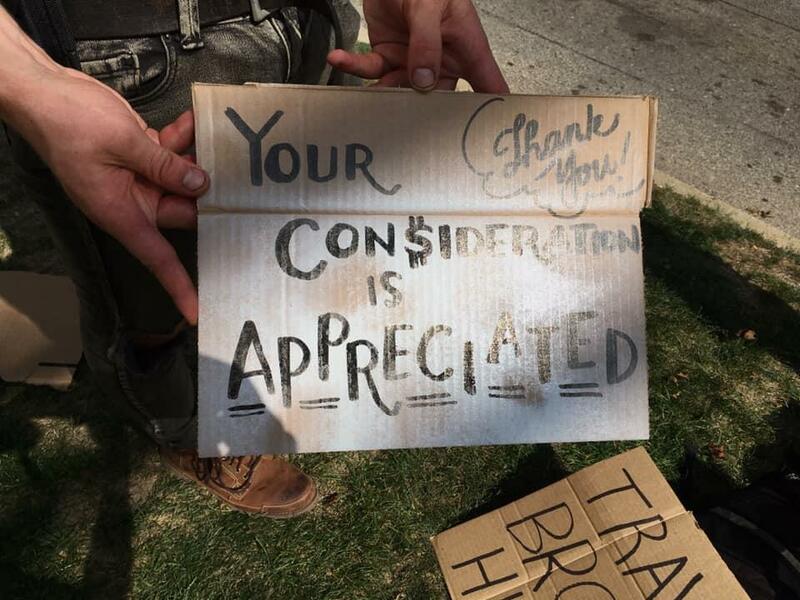 Ypsilanti artist Yen Azzaro personally approached and got to know about a half dozen homeless people across Washtenaw County out making appeals for support with handmade signs. She used her graphic art expertise to help them make better signs with the hope of attracting more support and perhaps a human connection they rarely experience given their current situation. Azzaro hopes the social art project helps people remember the humanity that we all share of similar feelings, fears, and ambitions and take a moment to connect with someone who is down on their luck. Her work and the story of what she did will be on display at Dolores Restaurant as part of Ypsilanti's First Friday events on December 7th for anyone who wants to stop by and meet Yen Azzaro and hear more about this latest project. There are many people in this community who are less fortunate than others, especially when it comes to having warm clothes for the winter. But there are organizations, such as the Emmanuel Lutheran Church of Ypsilanti, that regularly hold clothing drives to provide needed aid. 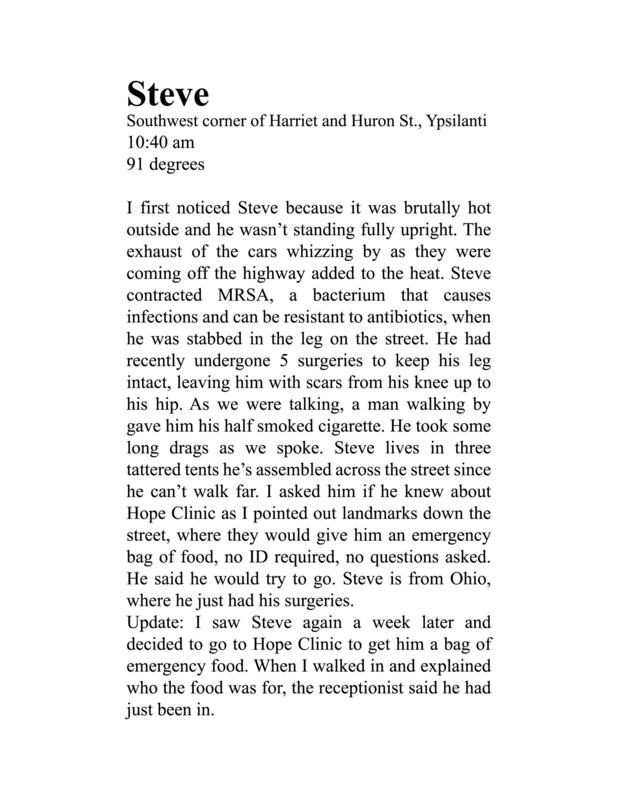 In this week's "On the Ground-Ypsi," WEMU's Patrick Campion and Concentrate Media's Sarah Rigg talk about the church's ongoing drive to help homeless people with its coordinator, Linda King. In its third year, a night of lights, music, and energy is planned for downtown Ypsilanti. “ypsiGLOW" takes place Friday evening, October 26th. 89.1 WEMU's Lisa Barry speaks with organizer Jeri Rosenberg and Kristen Klochko from Eastern Michigan University's Engage@EMU to talk about the lively community event said to be bigger and better than ever!